Annalisa Barrett Joins KPMG Board Leadership Center. Annalisa is a corporate governance god. KPMG is the platform she needs to have an even bigger impact. Audit, tax, and advisory firm KPMG LLP’s Board Leadership Center (BLC) announced the addition of Annalisa Barrett to its team of corporate governance luminaries. 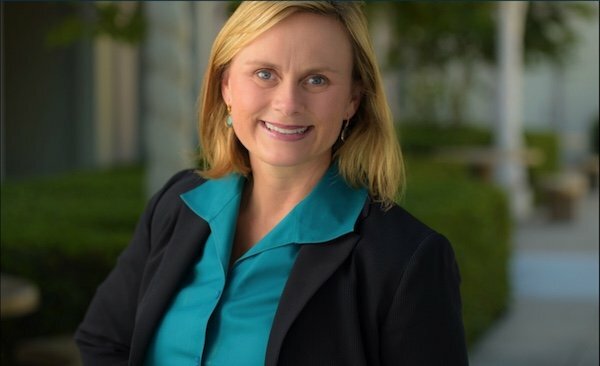 Based in San Diego, Annalisa Barrett joins the BLC from her previous roles as founder and CEO of Board Governance Research and senior advisor at ValueEdge Advisors. She formerly held corporate governance leadership positions at The Corporate Library (now MSCI ESG Research) and Towers Perrin (now Willis Towers Watson). Said Dennis T. Whalen, leader of the BLC. Annalisa brings a wealth of governance knowledge to the BLC and the directors and boards we interact with. Her insights and experience will be invaluable in shaping leading practices in corporate governance and facilitating quality boardroom conversations as investors and other stakeholders continue to raise the bar on what it means to be an effective board today. Annalisa Barrett joins a seasoned team at KPMG’s BLC—including senior advisors Patrick A. Lee (former legal executive at Verizon), Susan M. Angele (former legal executive at Hershey and Kraft/Nabisco), Stephen L. Brown (former head of corporate governance at TIAA), Claudia H. Allen (former co-chair of Katten Muchin Rosenman LLP’s Corporate Governance practice), and Ken Daly (former CEO of the National Association of Corporate Directors). The BLC provides valuable insights on the most important issues on board agendas. I’m looking forward to continuing to advance the dialogue on these critical boardroom issues – whether it’s board composition and diversity, environmental and social issues, shareholder engagement, or strategy and long-term value. KPMG LLP, the audit, tax and advisory firm (www.kpmg.com/us), is the independent U.S. member firm of KPMG International Cooperative (“KPMG International”). KPMG International’s independent member firms have 207,000 professionals working in 153 countries and territories.